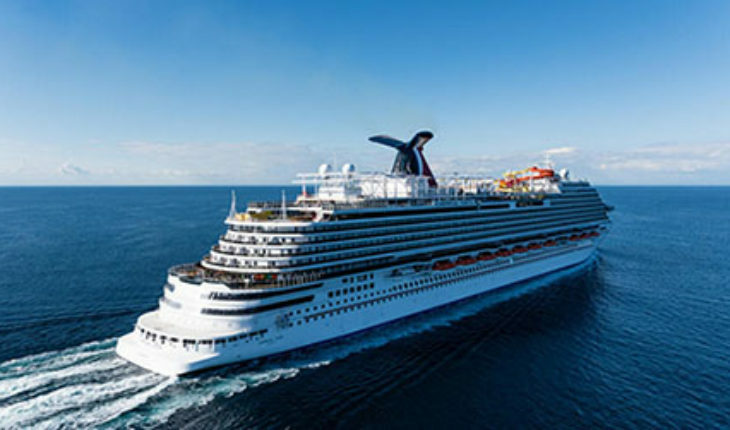 There’s a Minnesota connection to the new SkyRide device that will be installed on Carnival Cruise Line’s largest ship to date, the Carnival Vista currently under construction at the Fincanteri Shipyard in Italy. 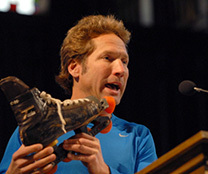 Scott Olson, who also invented Roller Blades in the 80’s, and created a new and fascinating experience called the SkyRide, which will allow passengers to peddle or row a one-person pod around a track similar to a monorail or rollercoaster. It’s a fitness device that will bring loads of fun and maybe even competitiveness to passengers who brave the experience of flying high over the sea and over the decks of the new Carnival Vista. 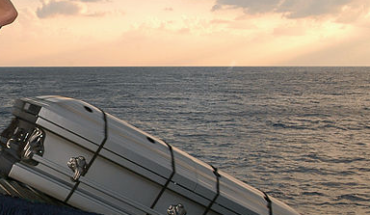 Never before has a feature like this been seen on a cruise ship or on land until now. 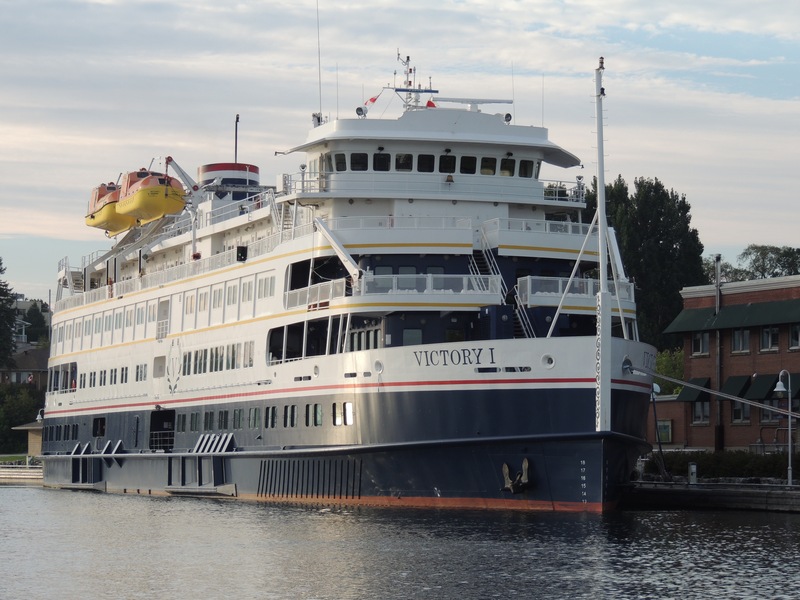 Today’s cruise lines are trying to win over new passengers and compete to out-do each other with the latest gimmick or gadget to usher new cruisers into the latest in modern and high-tech conveniences. Royal Caribbean’s Quantum of the Seas introduced the Bionic Bar, a simulated sky diving tube, and the North Star ride that takes passengers 300 feet above the sea for spectacular views. Norwegian Cruise Line has developed branded entertainment with popular shows like Blue Man Group, Second City, and many more. Carnival Cruise Line also stays in the game of innovation by offering a cruise ship with it’s own brewery, and now the high-flying duel SkyRide track giving passengers a competitive and fun fitness machine that encircles the highest deck of the Carnival Vista. The SkyRide machine is passenger-propelled and hangs like a pod under a special track that encircles the highest deck of the Carnival Vista. One passenger will be strapped-in to the pod-like cross between a bicycle and a stationary bike. 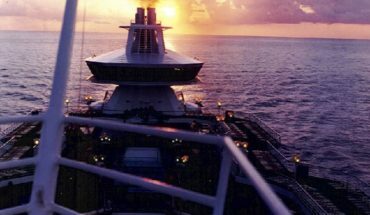 Once secure, the passenger can peddle or row around an 800 foot long track with fabulous views of the sea and the decks of the ship below. Inside the actual track and the mechanism of the pod are a series of wheels similar to what has been used to make RollerBlades. It’s interesting that this SkyRide machine integrates RollerBlade-like wheels, because the inventor of RollerBlades in the eighties, Scott Olson, has also dreamed up this fascinating SkyRide machine. Olson says the SkyRide machine is a cross between the amusement park roller coaster and a fitness device, so ‘riders’ can have fun while also getting a little exercise. It’s easy for people with various handicaps like blindness or people with certain mobility issues, to use the SkyRide and have a safe and fun experience. The Carnival Vista, at 133, 500 tons and fifteen decks high, will be the largest Carnival Cruise Line vessel when she enters service in May of 2016. 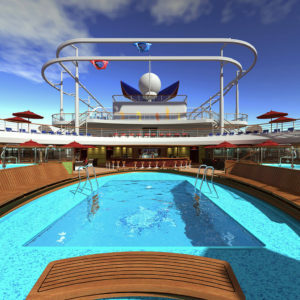 Carnival Vista will have an exciting array of sports entertainment options at the SportsSquare like: mini-bowling and SkyCourse the latest rope course, a basketball court, and play mini-golf at SkyGreens. Also new aboard the Carnival Vista will be the first Multiplex featuring an actual IMAX theater and also a 3D movie experience. The Seafood Shack will be a popular place for passengers to indulge in a complete seafood meal with indoor / outdoor seating for great ocean views. 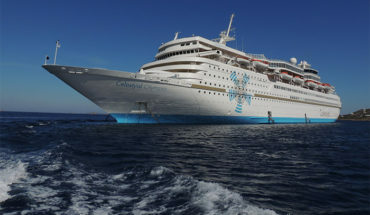 Passengers can also enjoy dining in the Bonsai Sushi restaurant or the Fahrenheit 555 Steakhouse, the Chef’s Table will have excellent culinary delights, the Ji Ji Asian Kitchen will satisfy the desire for Asian cuisine, or perhaps dining Italian family-style at Cucina del Capitano will keep you from going hungry during your cruise. Of course there’s Guy’s Burger Joint if an amazingly tasty burger hits the spot. 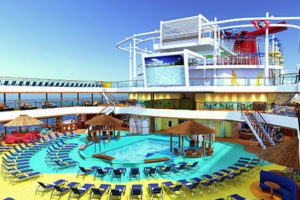 The Carnival Vista will also expand it’s popular adult-only Serenity Retreat area high up on deck. Whether cruising the Mediterranean or the Caribbean, Carnival Vista passengers will have fun in the sun, under the stars, or throughout the ship bursting with new and exciting dining and entertainment options. Below is an interview with the inventor Scott Olson at his home in Waconia, Minnesota, which he calls the Skyvation Ranch. This is ground zero for the fascinating SkyRide, which passengers on the new Carnival Vista will be able to experience beginning in May of 2016. 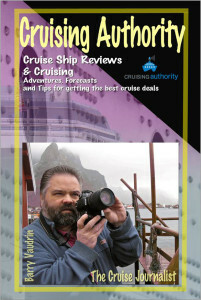 Want to read a “cruise-insiders” perspective on the cruise industry? 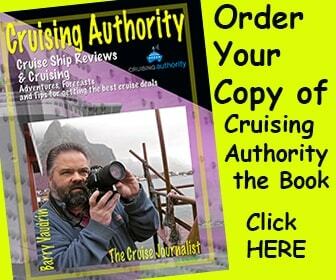 Cruising Authority is a must-read book, best read from the deck of a cruise ship while at sea. 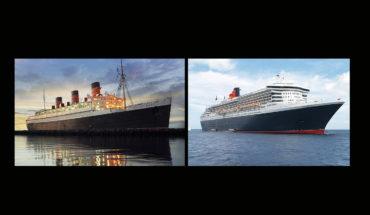 Author, Barry Vaudrin, tells his story from when he was a stow away in the 80’s, and read about the incident that damaged QE2 when she ran aground outside of Martha’s Vineyard in 1992. There’s a lot more content crammed in this book, get your copy today!